CHUG | Today is the Last Day to Guarantee a Spot in the CHUG Hotel Room Block! Register Now! The CHUG Hotel Room Block closes TODAY! Nashville is very popular this time of year and after the room block cuts off, availability at the discounted room rate will be extremely limited. Don’t wait until it’s too late – Click the button below to register and secure a room! Now more than ever before, Healthcare organizations need data. Not presented in the same old way, we need meaningful analytics with comprehensive actionable data that drives transformation. Providers and care teams need as much information as possible and limits to this put patients at risk. Healthcare is rapidly becoming a consumer-driven market, Healthcare organizations can no longer sit back and run businesses as usual. Access to information at the right time and in the right format is critical to successfully managing population health and risk under value-based care. Care coordination, gaps in care, active analytics, designee alerts, and patient proxies, using data to ensure that no person falls through the cracks. Become data savvy, be prepared to compete with simple, intuitive, usable population health analytics and optimize data effectively for the people who matter the most: our patients. 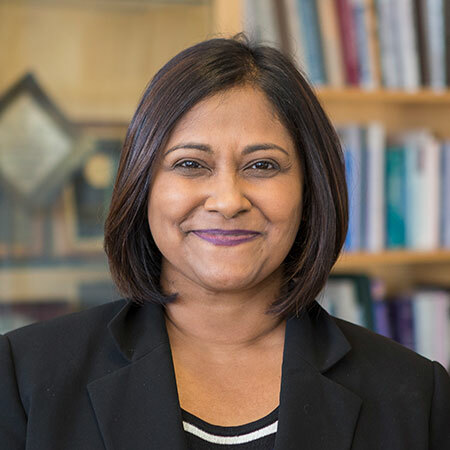 Somava Stout, MD, MS (Soma)has dedicated her career to improving health, well-being and equity through the development of thriving people, organizations and communities. She has worked as a primary care internist and pediatrician in the safety net and a global public health practitioner for over 20 years. She currently serves as Vice President at the Institute for Healthcare Improvement (IHI) and as Executive Lead of 100 Million Healthier Lives, which brings together 1000+ partners in 28 countries to achieve transformation in health, well-being and equity, with an audacious aim: 100 million people thriving globally by 2020. She serves as the co-Principal Innovator for the SCALE initiative, which supports communities around the country to accelerate their journey toward a Culture of Health through the development of Community of Solutions skills, behaviors and systems.